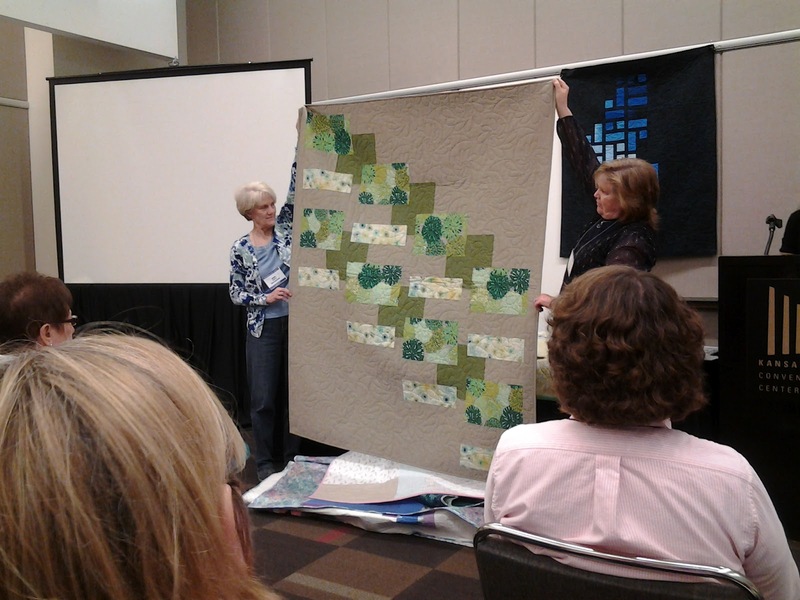 We had a graduation to attend last weekend, but that didn't stop us from attending Quilt Market in Kansas City for a couple days. Event though we weren't there long, we found everything we were looking for and more. Of course I can't share EVERYTHING because what fun would that be??? 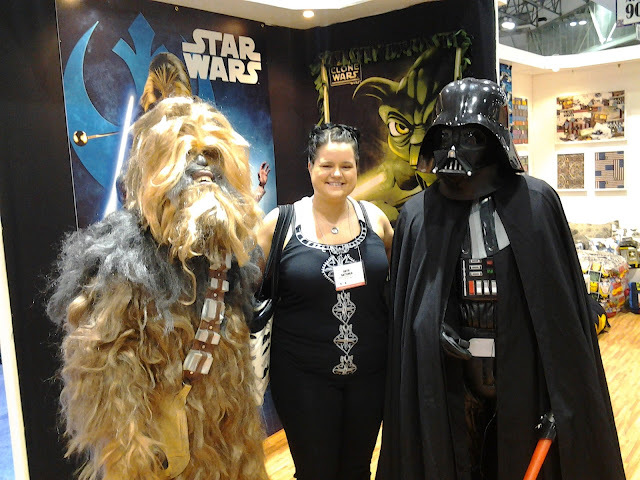 The best part of Quilt Market for me was meeting Chubaka and Darth Vader. 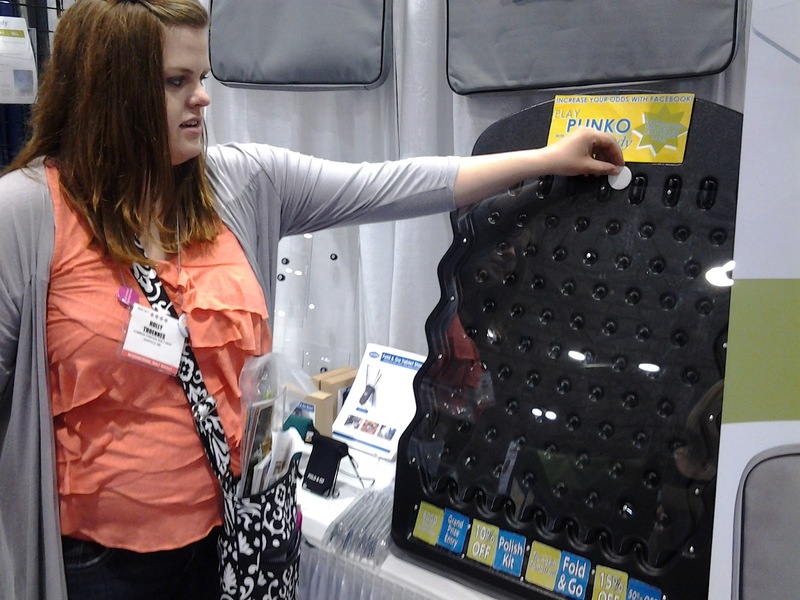 Honestly, I thought they'd both be taller. 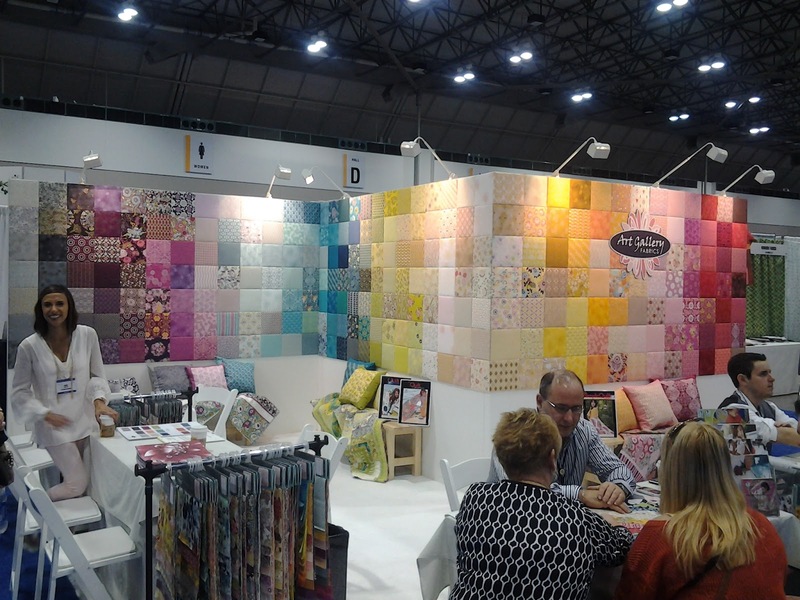 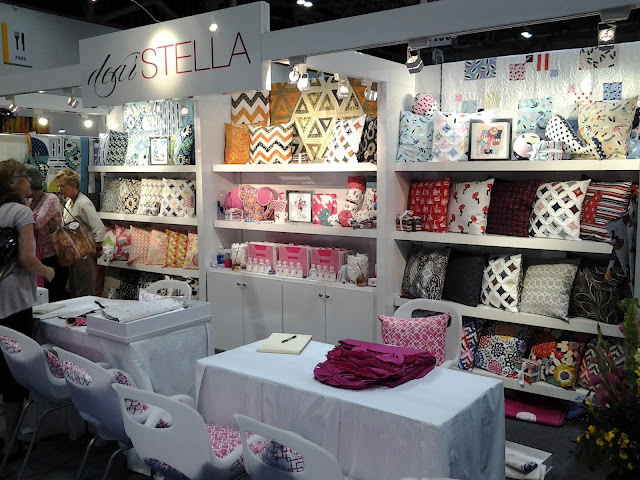 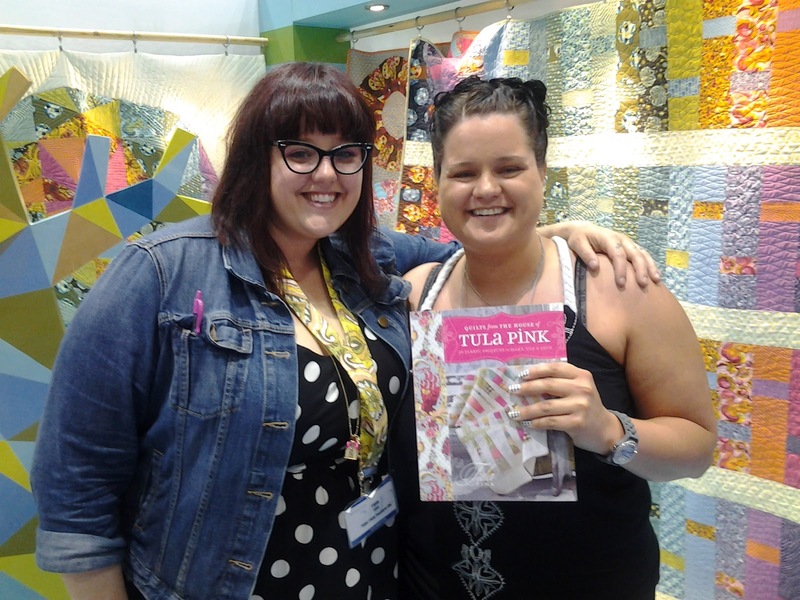 My second favorite part of Quilt Market was meeting Tula Pink. 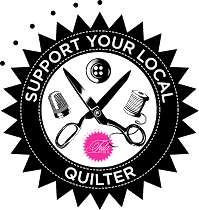 We've never carried her fabric at Common Threads, but it's never too late. She recently wrote a book including patterns...of course I brought my copy for her to sign. 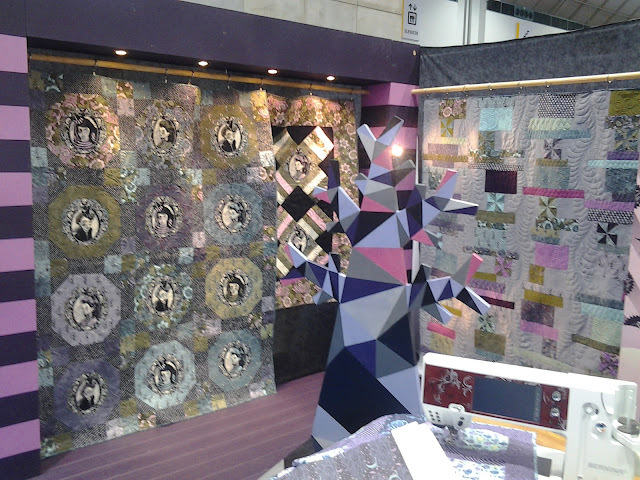 Here's a sneak peak of her Halloween line, Nightshade (I would love to make a "all-year-round" quilt from it). Some of the things we see are TOO cute! 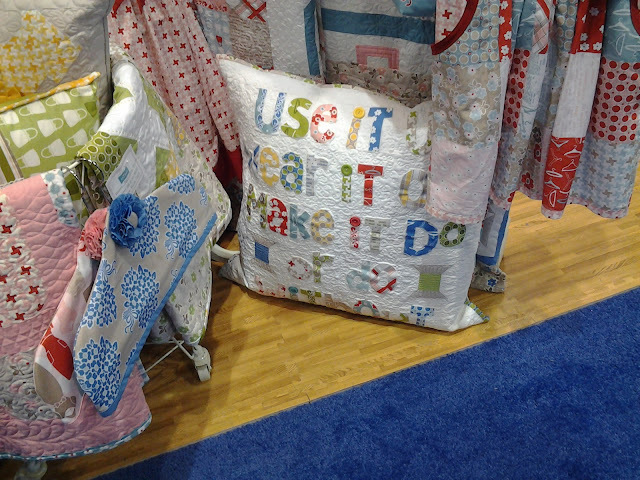 This was one of my favs, a cute pillow at the Riley Blake booth that says "Use it up, wear it out, make it do, or do without." 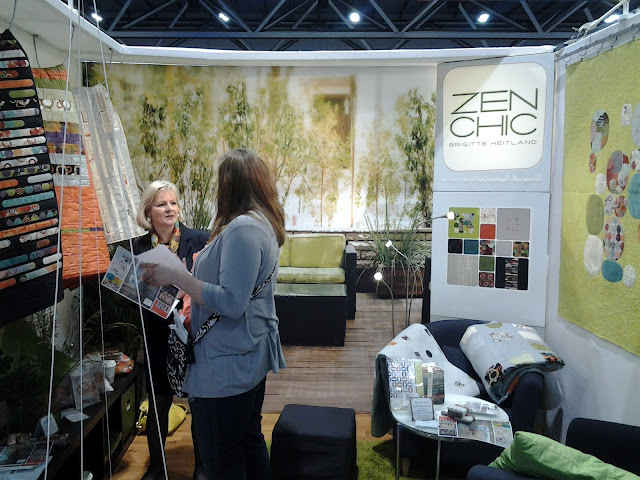 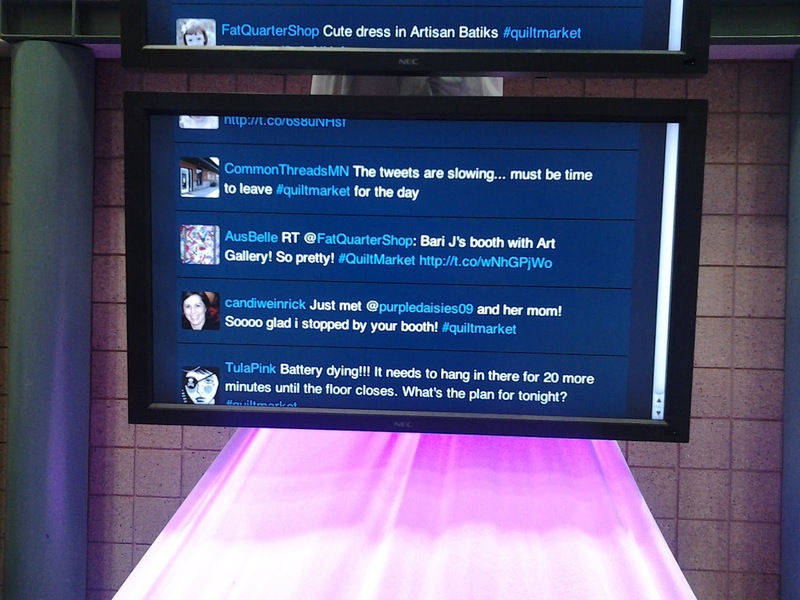 And just like the trend toward modern quilting, social media was a huge part of Quilt Market with their Twitter wall. Can you spy our tweet? 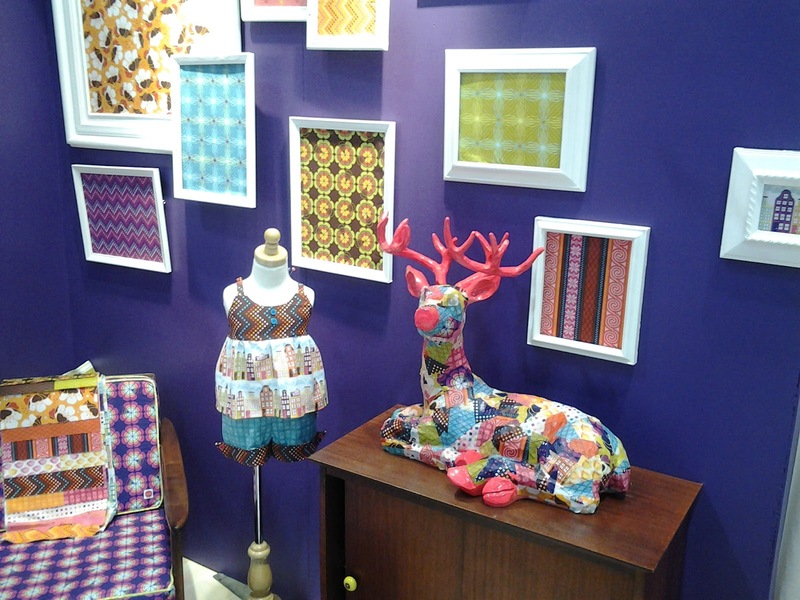 Here are a couple fun fabrics we found. 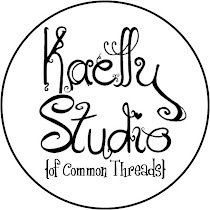 We are looking forward to using them in our Kaelly Studio pattern designs.